This is a traditional sweet treat made by cooking rice spindles called “choshi” or “chushi” in milk. The rice flour is prepared fresh grounded from the new harvested rice and then cooked to prepare a soft dough. 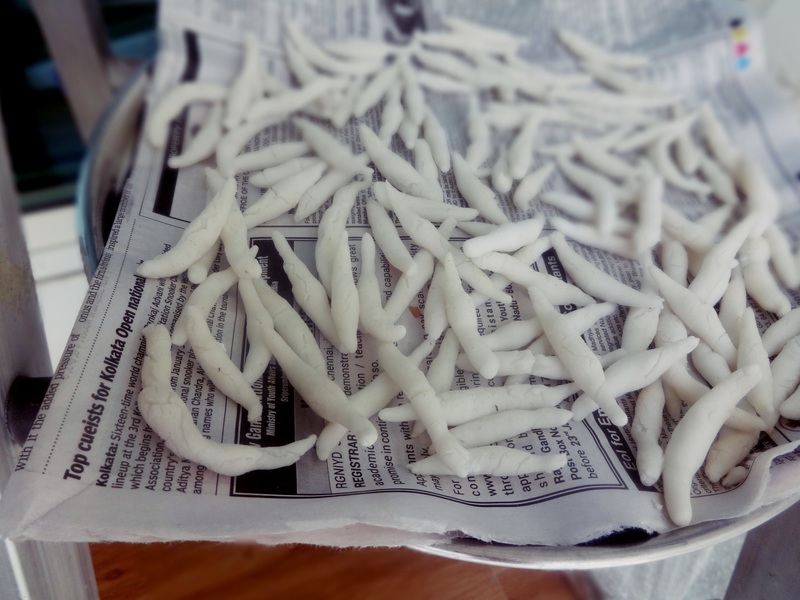 small spindle like shapes are made from the soft rice dough and kept in the sun for a duration of 1 or 2 days for drying. It is a tedious process and rarely prepared in the nuclear families and busy households now. Sometimes we use aromatic rice like “Gobindo bhog”, and they smell heavenly. 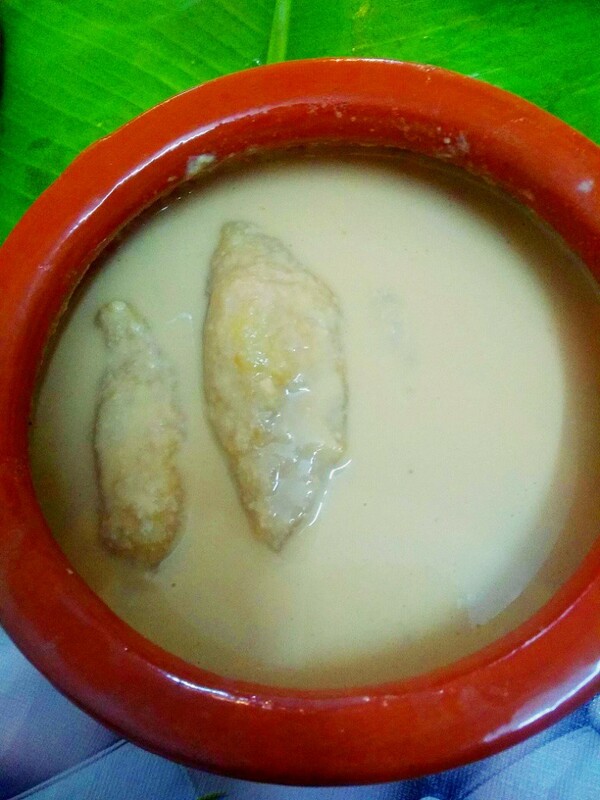 Prepared from rice flour and 1/4th semolina which gives softness to the texture , these are cooked on a clay pot called “sora” . I had seen these being prepared on a clay oven called “unoon” , and the flavors are still fresh in my mouth. 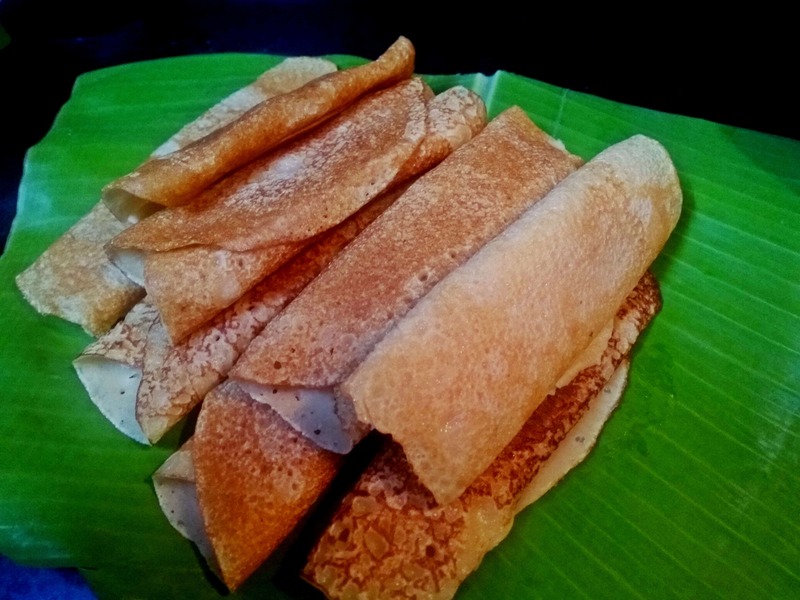 They are salty and not soft as idlies and they are traditionally like that. They have to be eaten by dunking the pieces in liquid jaggery (Nolen gur), truly heaven. I do not have a clay oven nor a clay “sora” and so I had no other alternative but to prepare it on gas oven in an aluminium skillet. This is another variety of dumpling with soft rice casing engulfing a delicious stuffing of coconut and jaggery . 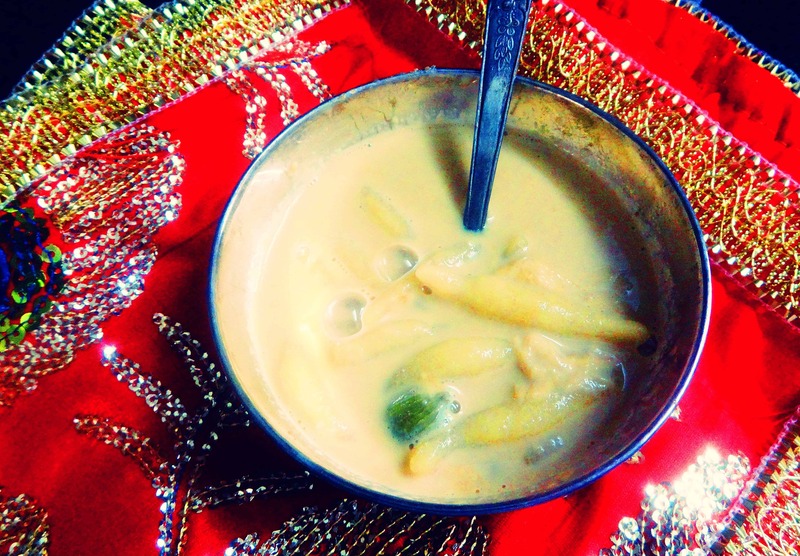 The dumplings are then boiled in milk flavored with date palm jaggery which add both sweetness and aroma. 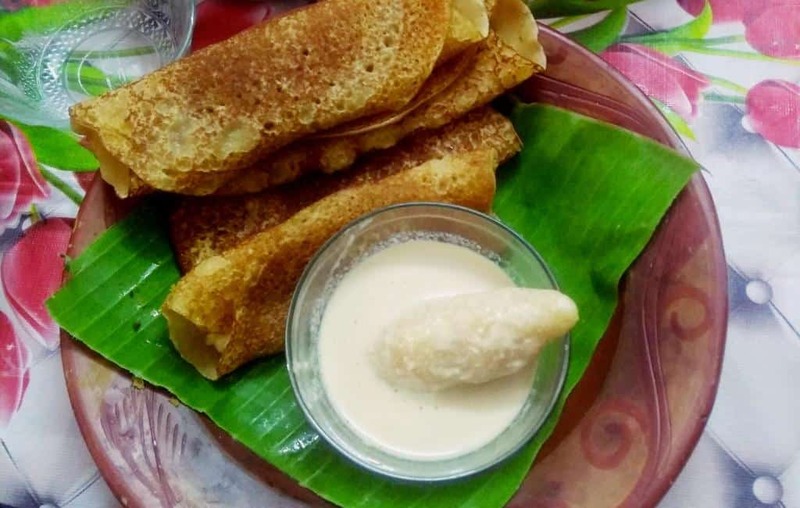 Traditionally prepared with rice flour , these crapes are filled with thickened and reduced sweetened milk called kheer or sometimes with sweetened coconut. Using rice flour makes these “pithe” little tough in texture ,instead the modern way is to use a mixture of semolina and wheat flour. 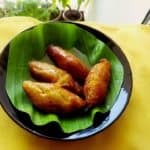 They can be sweetened with sugar or with date palm jaggery or nolen gur which gives a light brown color and rom to the crapes. This is a traditional sweet popular in all the states of India and has an enormous number of varieties . 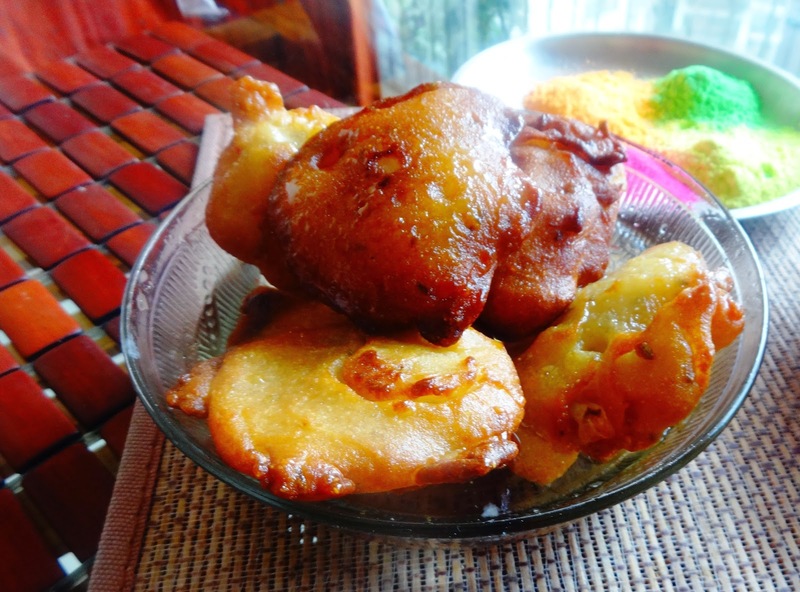 But the one I have grown up with and relish are made with semolina and flour ,very fluffy and juice dunked in sugar syrup ,mouthwatering and delicious . I used to see them stacked on the street side shops and thankfully my mom used to prepare at home. 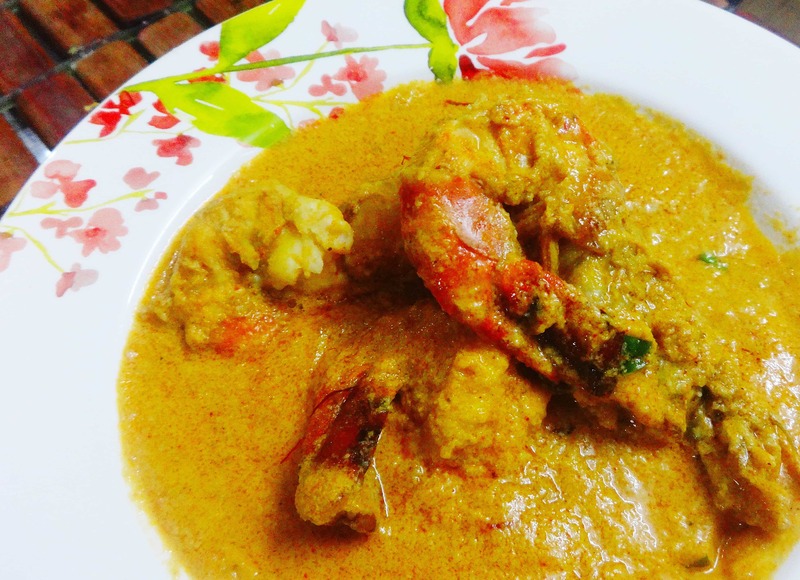 It is a difficult dish to get right at the first chance but it has exotic unique flavor and taste which you will definitely not forget. The flavor specially comes from roasted Moong dal which gives out a divine earthy aroma when roasted. Then it is boiled with just adequate water enough to make a dough. Mind it! 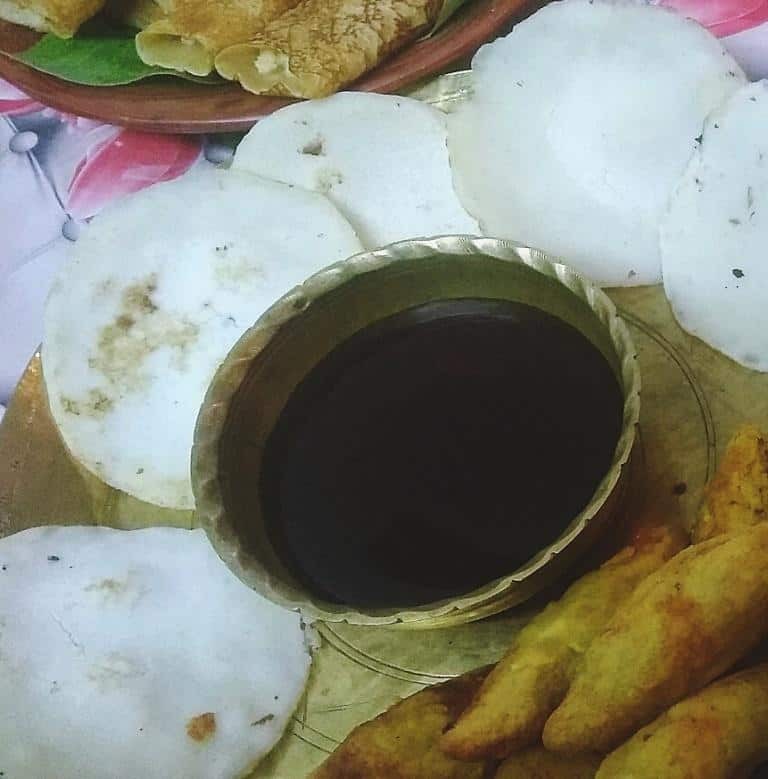 if water becomes more ,you cant go ahead and make this pitha. The Moong dal is gluten free difficult to hold together, so we mix rice flour, some people do mix refined flour too. 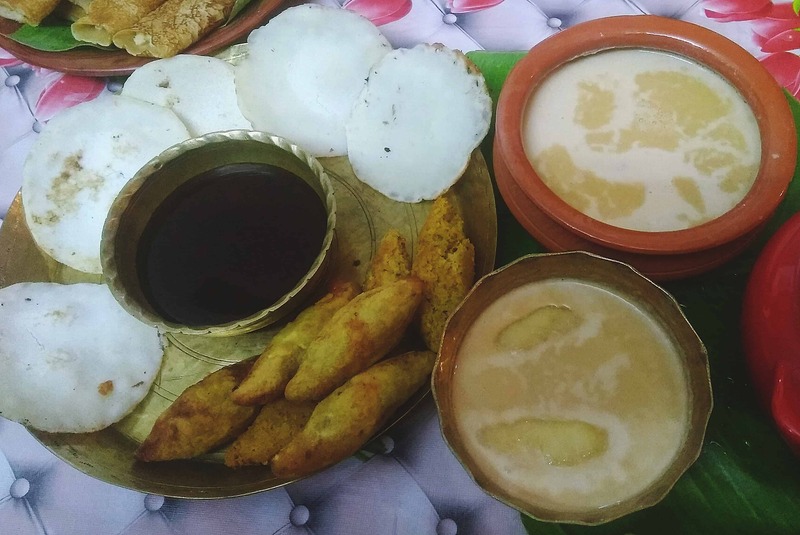 it makes the job easy but too much of mixing can make this pitha hard, not crispy. It can be served hot as a starter after deep frying in mustard oil or dipped in sugar syrup of one string consistency. Wash the lentils and boil with just enough water to soak the dal. When the lentils have become tender mix rice flour and mash with your palms. Stir coconut sugar and milk together in the pan till the sugar melts. Add mawa and cook till the mixture leaves the sides of the pan. Make small spindles out of the filling and keep aside. Heat mustard oil till it reaches smoking point. check first adding a small ball in the mustard oil to see whether it holds or not. If it disintegrates add some more rice flour to the dough and knead again. Make small discs out of the dough . Place a filling inside and wrap the dough to cover it completely giving it an oval shape. dip your finger in water and smooth en the covering filling the cracks. Make a oval shaped dumpling. 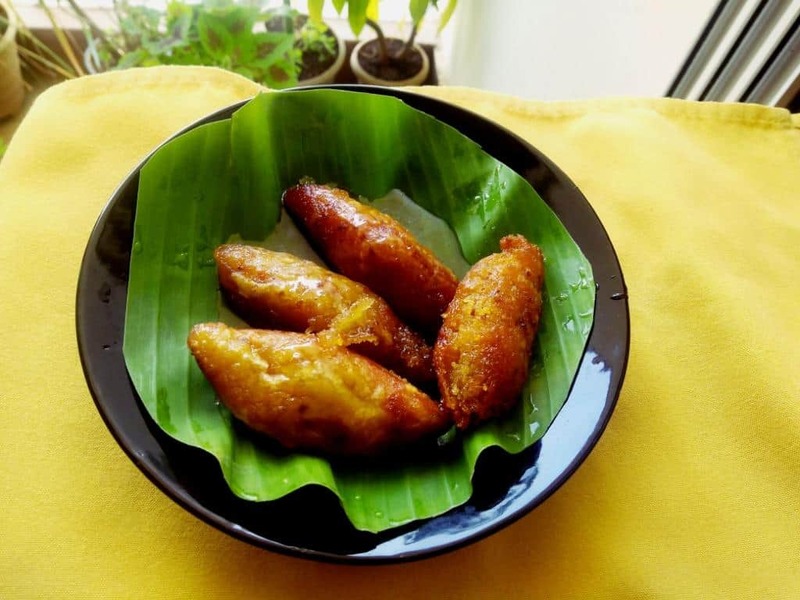 Fry this dumpling in mustard oil on medium flame , till it is cooked completely crispy. Boil sugar and water together till it forms a thick syrup of one string consistency. Dip these dumplings in sugar syrup and serve hot.